Personnage - Apprentice. Points: 8/11. Santé: 8. 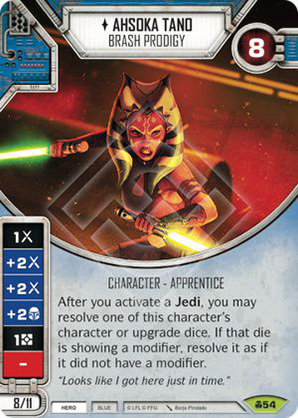 After you activate a Jedi, you may resolve one of this character's character or upgrade dice. If that die is showing a modifier, resolve it as if it did not have a modifier.